This is a proud moment for the Coaching Industry. The word ‘Life Coach’has now been added to the Merriam-Webster Dictionary. I see this as a validation of an industry which is growing at an exponential speed – and this growth is proof that Coaching is an effective solution in the current socio-economic conditions worldwide. Am proud to be a part of this profession. Proud to be able to help people unleash their potential. Proud to be able to live my life purpose. Proud to be a Coach. Here is the news article published by Sacramento Bee. Links to the original article have been provided below. In an economic age where more and more jobs are being cut, the coaching industry is growing. “The industry keeps growing because it’s meeting a societal need to make people more effective, satisfied and able to maximize their potential to help humanity flourish,” explains Dr. Damian Goldvarg, President-Elect of ICF’s Board of Directors. The first-known usage of the word “life coach” was in 1986 according to Merriam-Webster, but since then the professional coaching industry has exploded. The 2012 ICF Global Coaching Study* revealed there are 47,500 professional coaches worldwide bringing in a total annual income of nearly $2 billion. The growth in the professional coaching industry is one indication that coaching is an effective solution to the common economic struggles plaguing many companies today. Major corporations have turned to coaching to improve their businesses, including IBM, Nike, Verizon and Coca-Cola Enterprises. Studies show that virtually all companies or individuals who hire a coach are satisfied. According to the ICF Global Coaching Client Study (2009), a stunning 99% of people who were polled said they were somewhat or very satisfied with the overall experience. A key differentiator for the industry is that coaching is seen as an “action plan” rather than an exploratory process. Coaching has become a significant trend in leadership development because it increases productivity, empowers employees, and provides a return on investment (ROI). Professional coaching explicitly targets maximizing potential and in doing this unlocks latent sources of productivity and effectiveness. At the heart of coaching is a creative and thought-provoking process that supports individuals to confidently pursue new ideas and alternative solutions with greater resilience in the face of growing complexity and uncertainty. The International Coach Federation is the leading global organization for coaches, with over 21,000 members in more than 100 countries and over 7,900 credentialed coaches worldwide. ICF is dedicated to advancing the coaching profession by setting high ethical standards, providing independent certification, and building a worldwide network of credentialed coaches. * The 2012 ICF Global Coaching Study and the ICF Global Coaching Client Study (2009) were commissioned by ICF but conducted independently by the International Survey Unit of PricewaterhouseCoopers. Full copies of the studies are available upon request. Coaching industry has started taking its roots in India. The industry is still in the nascent stage, for it is yet to be tapped and understood properly. The concept behind coaching, not just talks about academic coaching or sports coaching or mentoring, it is an ongoing relationship which focuses on people/organisations taking action toward the realisation of their visions, goals or desires while maximising their person and professional potential. According to Sraban Mukherjee, who boasts to have handled major consultancy assignments and conducted more than 100 coaching hours in 2007 with eight clients, besides being a member of International Coaching Federation, USA, the coaching industry is not even one per cent explored in India. “People and organisations in India are yet to understand the concept behind coaching. Once the importance of the word coaching is understood , the market for coaching business will be automatically established” , said Mukherjee. Further he added, “In countries like US and UK, coaching is a well established profession. I am expecting the market to grow by 20-30 per cent in India, in next four to five years.” The need for the right career path and stress free life will offer a lot of scope for coaching as a full time career profession. Talking about coaching industry in India, it’s basically the executive coaching which is gaining prominence these days. Executive coaching is an experiential and individualised leader development process that builds a leader’s capability to achieve short and long term organisational goals. The other different kinds of coaching that exist today include life/personal coaching, career coaching, mentor coaching, spiritual coaching, business coaching and relationship coaching. “Whether it is executive coaching or life coaching or any other niche areas of coaching , the bottom line is change. Hence, it is important to understand the change process so that coaches can navigate with clients in the change journey in a step by step process” , said Mukherjee. In India, executive coaching is, so far being associated with only a few companies including Hewitt, Grow Talent and Hero Mindmine. Indian School of Business in Hyderabad also conducts regular workshops on executive coaching . “Though a fewer in number, but there are companies like Wipro, Satyam, Hindustan Lever, which are known for having a very good coaching culture in India. Multinational companies like IBM, Shell, Cadbury are also set to introduce coaching culture in India, very soon. Many are in talks with Hero Mindmine to introduce coaching culture in their respective organisations” , said Mukherjee. Mukherjee is currently working as the head of HR consulting and leadership coaching in Hero Mindmine Insititute Limited, a HERO group company. Many Indian corporate leaders and senior executives are aware that in these times of rapid change what is required from them has less to do with their skills in the techno-commercial strategic areas and more to do with their skills in encouraging creativity, innovation and team-building. Often corporate leaders know what needs to be done to adapt to changing business environments and this is not their main challenge. Their main challenge is to get their teams, and themselves, to do what needs to be done. This involves working on their own mindsets as well as the mindsets of their teams through leadership and motivation. Yet few have received guidance on how to improve their skills in this area. Like other skills these too can be developed through learning. However this learning cannot be acquired from short-term training programmes or from attending lectures, or even from reading books. Studies have revealed that any benefit from this type of training does not last. It lacks follow-up, direct application and continued guidance. The learning that is required needs to be focused on specific needs, followed up over a period of time and based on actual experiences. It is a learning which perpetuates itself on feedback. It needs to be on the job and experiential. This is where corporate coaching comes into the picture. The Public Personnel Management Association Journal (Winter 97, Vol. 26 Issue 4,) quotes a study which showed that training alone increased productivity by about 22% while training plus coaching increased productivity by 88%. Executive coaching as a specialised discipline has been flourishing in the United States for over twenty years. “For years, CEOs of some of the most successful and largest companies have relied on executive coaches. Henry McKinnell, CEO of Pfizer, Meg Whitman, CEO of eBay, and David Pottruck, CEO of Charles Schwab & Co., are a few who rely on a trusted adviser.” (The Business Journal. Nov. 2002.) Coaching is gaining popularity in the UK and other mature market economies where corporations face the full blast of international competition. Research studies in these countries show spectacular improvements in performance after executive coaching. In India corporate leaders had been slow in taking to coaching, probably because it was (mistakenly) viewed as an admission that the management is lacking in some attributes. However it is now being appreciated that in fact coaching provides an opportunity to strengthen developmental attributes and hence performance. It is noted, for instance, that all top sports people use coaches to improve their performance, though they already perform very well. In fact where talent already exists the benefits from coaching are multiplied. With this realisation dawning in the corporate world here the use of coaching is catching on in India as well. Management training institutions and consultancy firms are now offering executive coaching. They have the expertise in different functional and behavioural areas; also through national and international networks they access the most relevant talent for the coaching exercise. Executive coaching has become more mainstream today. It is accepted as part of standard leadership development for elite executives and talented up-comers. It is a one-to-one collaboration between a certified coach and an executive, who wants to generate positive personal changes, inculcate greater adaptability, better his leadership skills, access new perspectives, and above all, reach maximum potential. Executives should seek coaching “when they feel that a change in behaviour – either for themselves or their team members – can make a significant difference in the long-term success of the organisation,” says Marshall Goldsmith, coach to top executives in many of the world’s leading companies. However, there are not enough professionals who can don the garb of a CEO coach. It was this lacuna which the CEE, at the ISB, wanted to address. An exclusive Executive Coaching Programme for senior professionals, who want to be CEO Coaches, was held at the ISB, between August 20 and 22. It is the first time that such a Programme is being conducted in India. Usually CEO coaching focusses on three aspects – strategy, organisational change, and behavioural coaching. The Programme at the ISB concentrated only on behavioural change. The Programme aimed towards improvement of positive and measurable behaviour of the participants, by identifying specific behaviours to improve upon and choosing concrete methods of change. Coached by none other than Goldsmith himself, the Programme rested on Goldsmith’s favourite line– “The same beliefs that lead to our success can make it very difficult for us to change behaviour, and as difficult as it is to change our own behaviour, it is even more difficult to change others’ perception of our behaviour.” Goldsmith has been ranked by The Wall Street Journal as one of the top 10 executive educators. He is one of the foremost authorities on how to help leaders achieve positive, measurable changes in their own behaviour and in the behaviour of their people and teams. Based on an empirically-tested method of executive coaching, Goldsmith devised a straightforward and highly effective process that has consistently delivered successful results across a large population of leaders in a broad spectrum of professions. The Programme saw a host of important portfolio holders from companies such as Raymond Ltd., Aditya Birla Management Corporation Ltd., Godrej India Ltd., HDFC Bank, etc. As a parting shot, Goldsmith personally signed copies of his new best-seller on leadership development, ‘What Got You Here Won’t Get You There,’ for each of the participant. Time to get there! The ICF is the largest worldwide not-for-profit professional association of coaches. They try to self-regulate the coaching industry, and have developed a system of credentialing coaches that includes a specified number of hours of coach-specific training, number of hours of coaching experience, and proof of ability to coach at or above defined standards for each credentialing level. 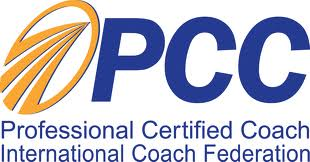 The credentialing levels defined by the International Coach Federation are Associate Certified Coach (ACC), Professional Certified Coach (PCC), and Master Certified Coach (MCC).Coaches credentialed by the ICF and members of the ICF, regardless of whether they are credentialed, agree to abide by a code of ethics. Learn by continuing to reflect on their actions and sharing feedback with others along the way. Coaching can be especially useful to help individuals address complex problems and/or attain signifcant goals and do so in a highly individualized fashion.